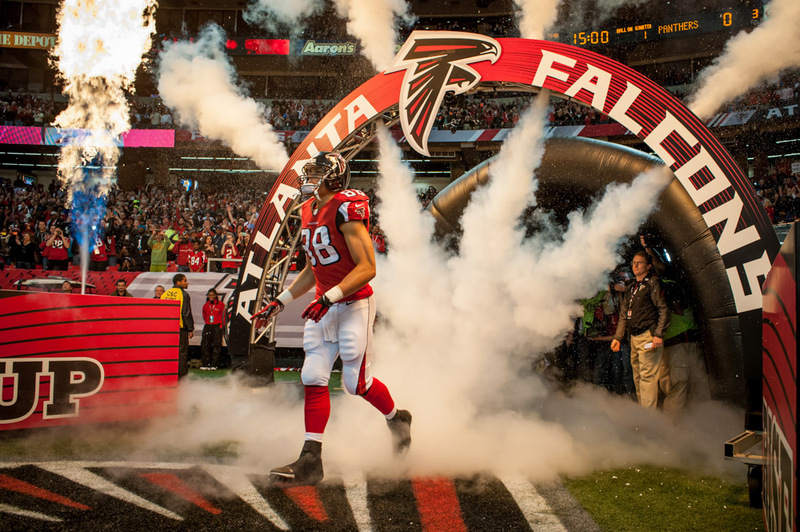 It’s not every day I get to photograph the last game of a future Hall of Fame athlete, and especially one as humble as Tony Gonzalez. Several years ago, I assisted Greg Foster on a portrait shoot of Tony for Sports Illustrated. He was extremely down to Earth, even introducing himself to me (I was the assistant, this kind of thing usually doesn’t happen). 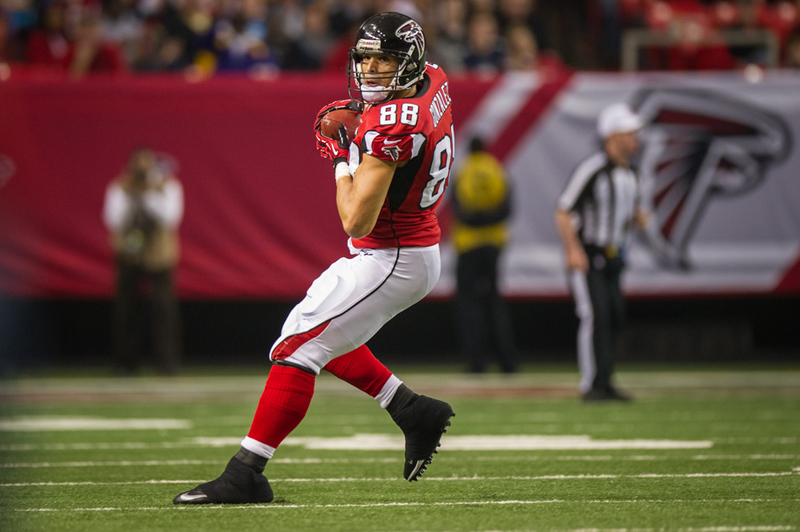 For those of you who don’t follow football closely, Tony Gonzalez is one of the best tight ends of all time. He actually had the choice to go pro in either basketball or football. 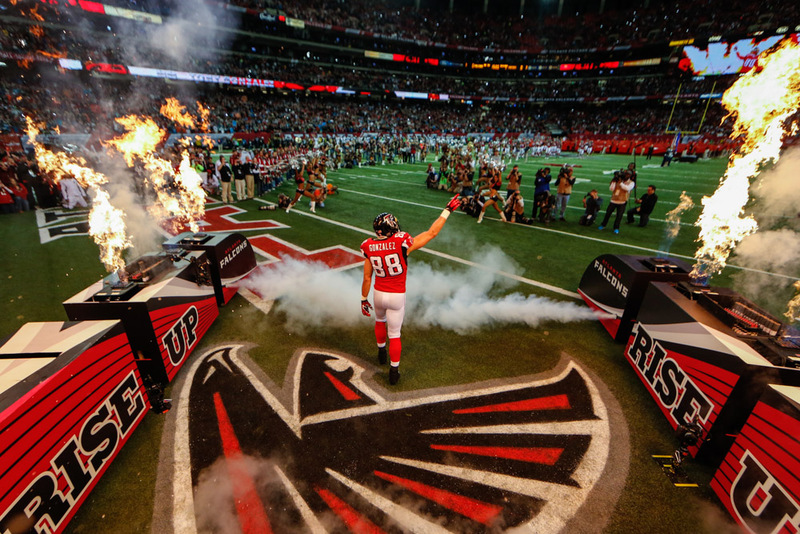 His career was second to none, and had the Falcons won the Super Bowl for the 2012-13 season, I seriously doubt he would have returned for the 2013-14 season. 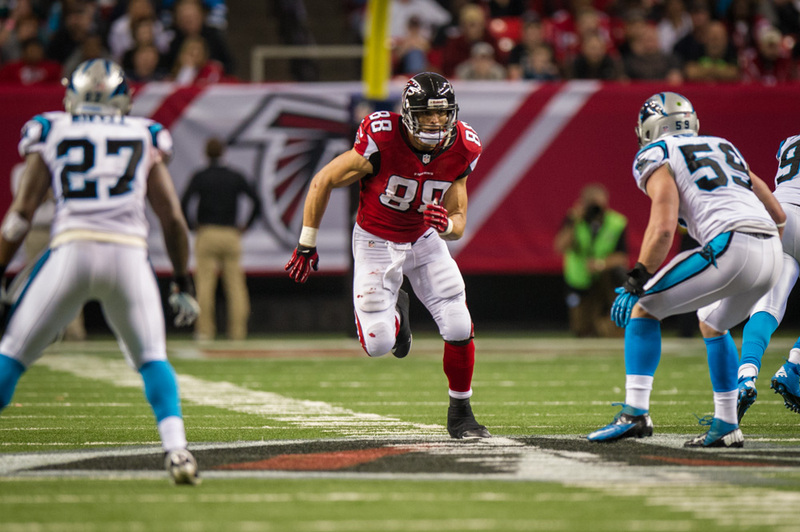 But after coming so close (one game) from playing in the Big Game, one could understand why he returned. 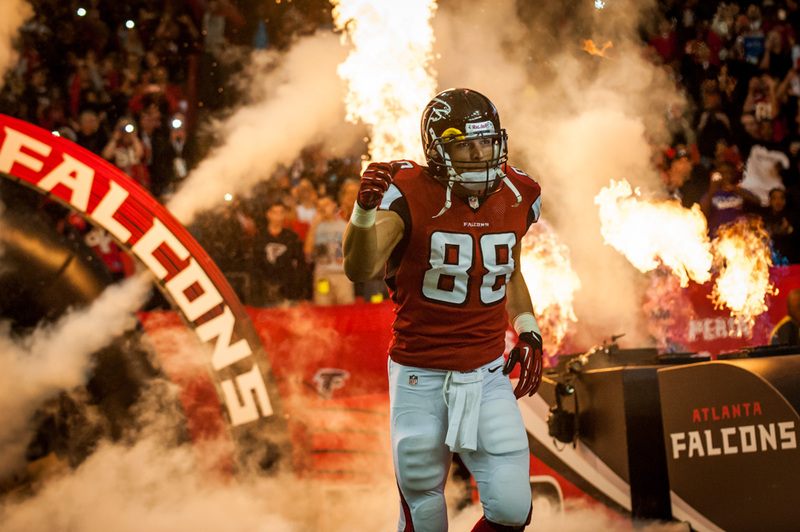 Unfortunately, the Falcons’ season last year paled in comparison the previous season, and Tony did not get to exit the NFL on a high note. For this assignment, I used three remote cameras (you can see where I placed them in the photos below). Now, I’m definitely not the first person to do this. 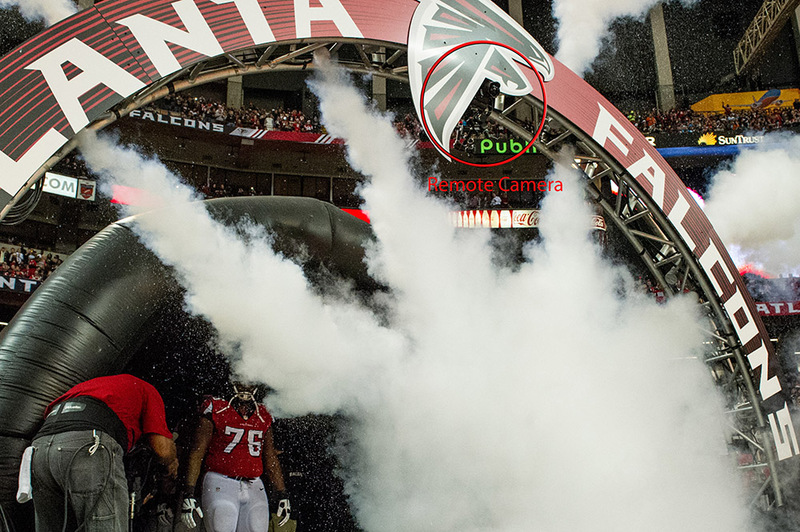 Last year, I assisted Scott Kelby as he did this (almost) exact same setup for the NFC Championship game (we should’ve won that game). 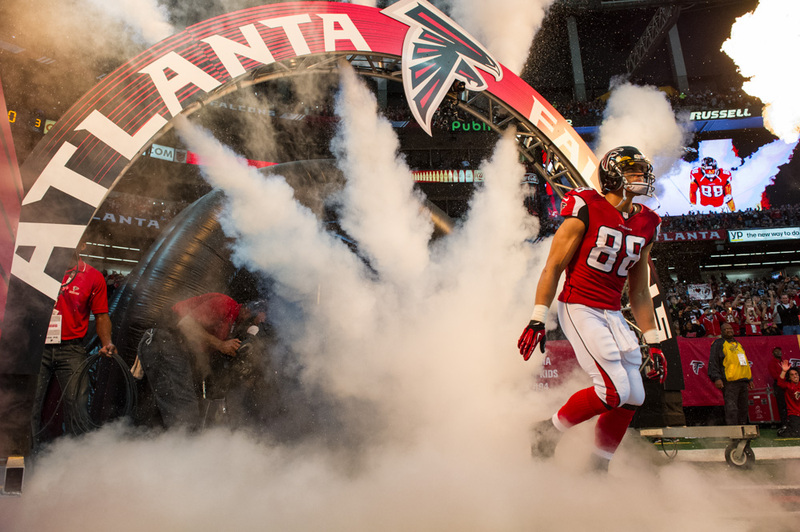 The Falcons liked the results and wanted something similar for Tony’s last game. 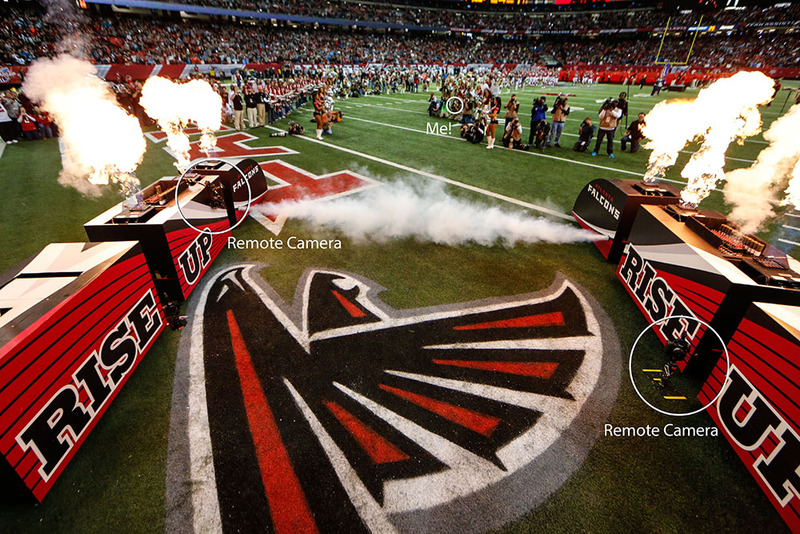 One remote was mounted on the truss that hangs over where players run under as they burst through the fire and smoke. I placed another camera on a rig that sits on the ground and I attached the final remote to one of the big pyrotechnic containers that lined the entrance. I shot the introductions with a handheld camera from about 30 feet away, firing the remote cameras using PocketWizard transceivers. 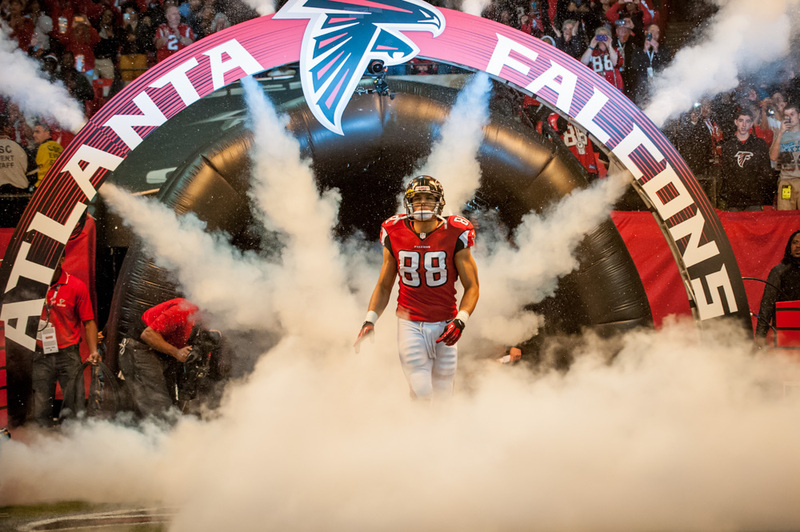 Even though I had photographed the Falcons’ introductions before, and even helped setup remote cameras there, I spent a good deal of time preparing for this assignment. There were several issues that could’ve caused problems for the remotes. For one, how much smoke would there be? I was told that the pyrotechnic guys used a bit more smoke than they did the previous year. If the smoke completely covered the ground, the ground remote would not make any usable photos. Time was also a factor (when is it not?). This was critical because not enough time could mean that I would only have time for two, or even worse, one remote. There would only be a few minutes before the introductions to install the remotes. I had to prioritize. I knew that we definitely wanted the overhead remote, we felt that it would yield the best photos. The remotes on or near the ground would be secondary. The other big factor was exposures. The exposure on the field with the flames is A LOT different than when they are not in use. I wanted the aperture and shutter speed to be the same throughout, so I used a nifty little function on cameras that automatically adjusts the ISO according to the exposure. I set the exposure compensation to -1/3 stop. I was still worried about the exposures … you just never know how these things work until it’s over. And if the frame was completely over or under exposed, or if radio interference prevent the radios from firing the cameras, all of this work would have been for nothing. So I was pretty stoked when I retrieved the cameras and realized that I got the photographs of Tony entering, exposed correctly, on all three cameras. Remote cameras (two above frames). Handheld cameras (two above frames). 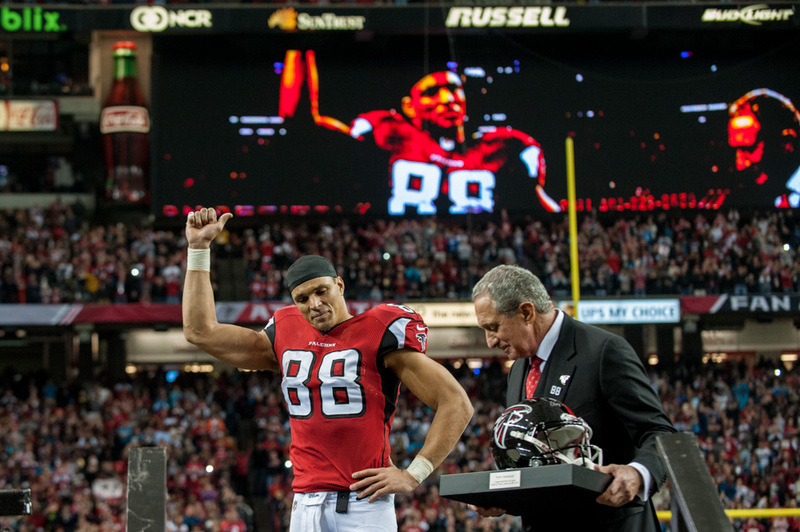 There was also a ceremony honoring Tony during halftime. 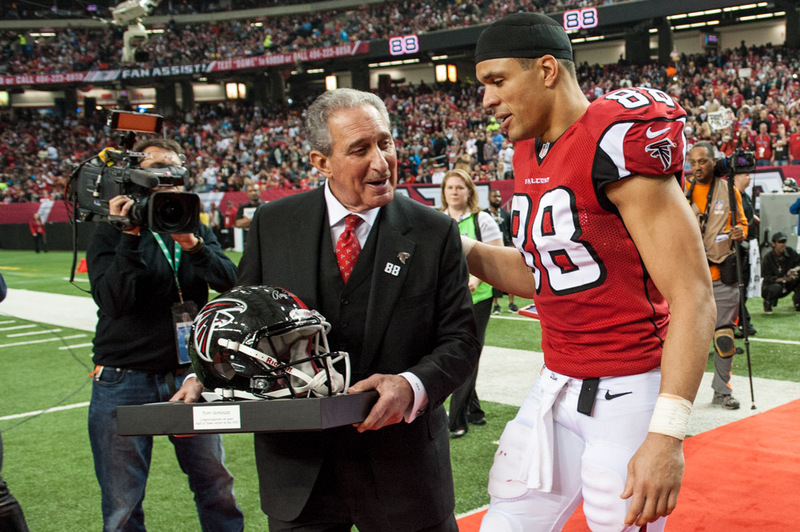 Falcons owner Arthur Blank presented Tony with a helmet made of two helmets — one from Kansas City, where he played from 1997-2008, and one from the Falcons, where he started in 2009. 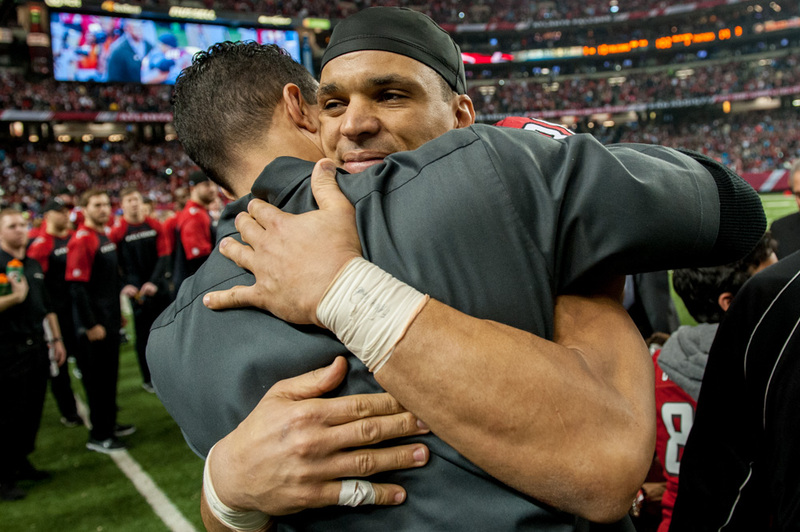 Above, Tony hugs his brother after walking off the field. 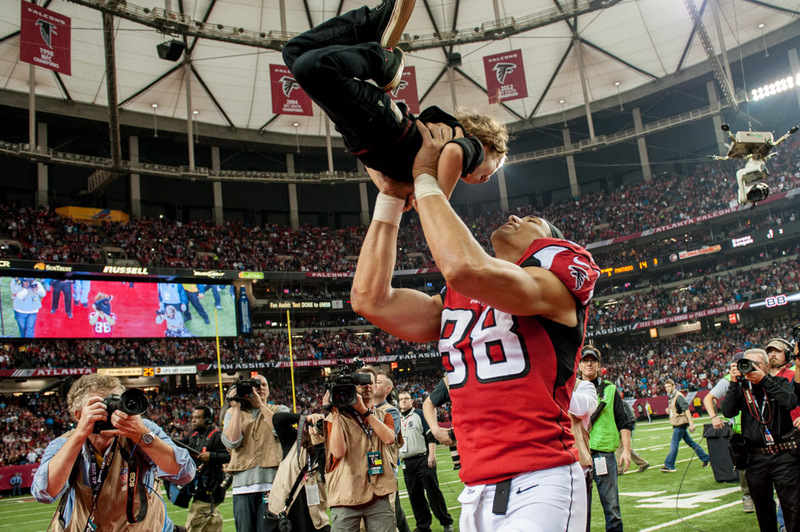 He also had pretty cool moment with his son (two photos above). 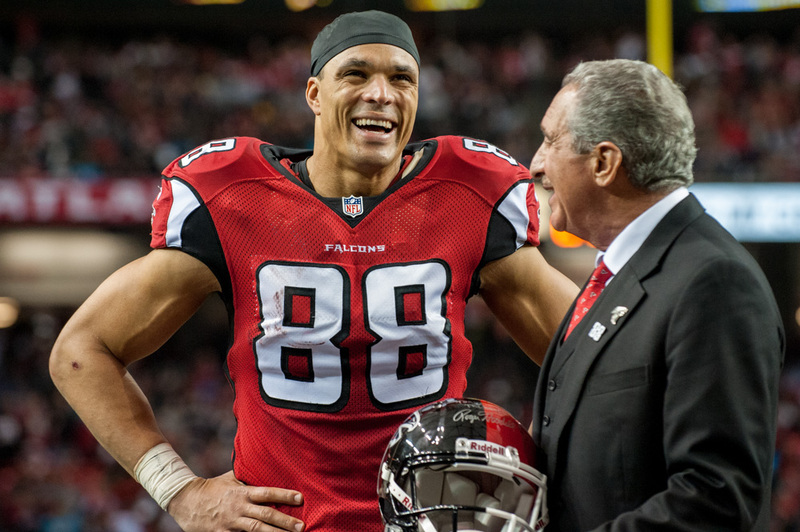 Tony Gonzalez has established a Hall of Fame career by breaking records from his early years to the final games of his career.